Comments There is a lot of substance in what we say mostly because it is backed by what we do! Gemstoneuniverse believes in walking the walk rather than just talking the talk and this is made amply clear by the talisman ring featured today. 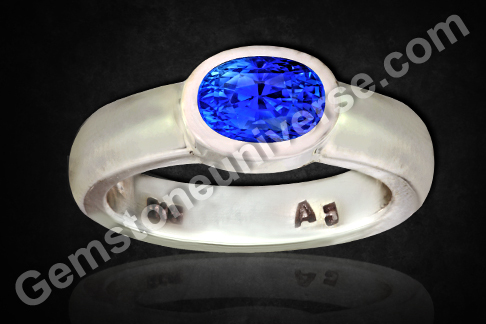 Have a look at this splendid Blue sapphire men’s ring. A brilliant intense sky blue colored Ceylonese Blue sapphire of 2.10 carats has been set in a beautifully crafted silver ring. 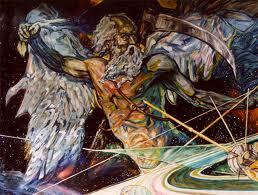 Note the symbol of saturn that stands in relief on the shanks. 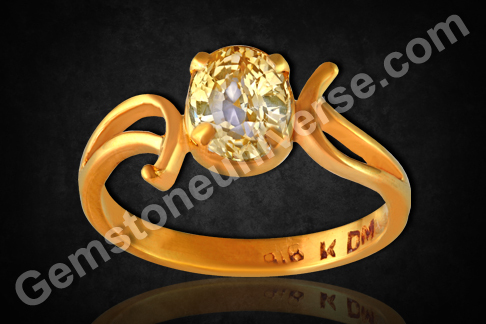 This particular ring is classified as an entry level gem at Gemstoneuniverse. And if such a splendid gem is what gets graded as entry level then you can expect a completely ‘LUX’ product if you purchase a top level gem! This, dear reader’s, is possible only because of the commitment towards quality, consistency and especially due to a penchant for the best, be it at any level of the gem pyramid. The color, faceting and clarity are par excellence in this nugget of delight. And since this is a completely untreated, unheated Blue Sapphire or Neelam gemstone with saatvik energies, it is sure to get the best Saturn results for the patron. Note: Thank you dear patron for your testimonial. Comments Where there is a will there is a way. If an individual is fortunate enough and has the divine grace, there is always a possibilty of finding good jyotish gemstones and implement gem therapy. 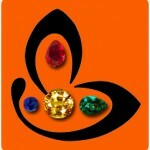 Gem therapy is a sure way to propel oneself on the way to progress and personal development. Have a look at this unique implementation of gem therapy. 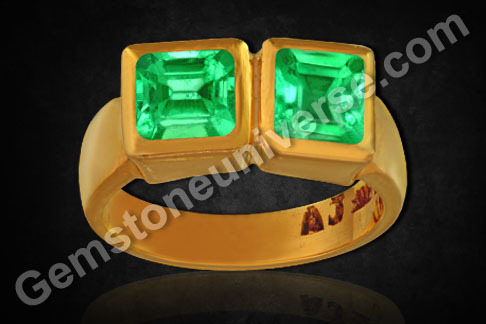 Featured is a ladies 22 karat gold ring with emeralds. Two great Colombain emeralds have been combined in a single ring to get the desired weight, 1.62 carats in this case. In case of the gemstones, among several factors used for ascertaining cost of the gem, the value increases exponentially with the size. The cost of a single natural, untreated, Colombian emerald of 1.62 carats (with this color and clarity) would have been much more than what these two smaller stones have valued to together. Here in lies the advantage of the unique implementation of gem therapy. The individual is able to harness the energies of Budha through this Mercury Talisman ring without compromising on the quality of the gemstones staying comfortably within the budget! The gems although small in size abound in the saatvik energies that are the innate feature of all jyotish gems. Superfine Ceylonese Yellow Sapphire – Did it just bring out the “I want it!” feeling in you? Did it just bring out the “I want it!” feeling in you? 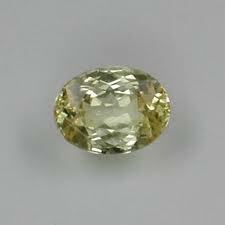 Featured today is one such gemstone – a fully natural, untreated Ceylonese Yellow sapphire of 2.07 carats. 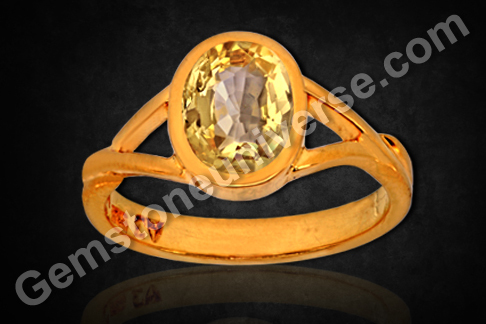 A lovely almost round gemstone, it has been set in 22 karat gold in a beautifully crafted, ladies Yellow sapphire ring. 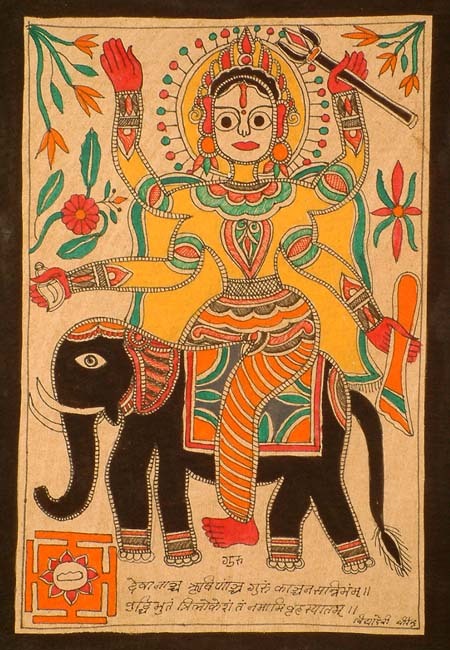 The perfect talisman for harnessing the energies of Jupiter /Brihaspati/ guru. A rich butter yellow in color, this gemstone has great clarity and enchanting lustre. There is a lot that goes into fashioning a gemstone into a piece of delight, finery that you own, from its original rough state as it emerges. From determining the cut that would lead to gain of the largest carat weight of gem from the rough, to faceting it to give it maximum allure, the gem ‘manufacturer’ is someone who also deserves a round of applause in the story of gemstones. Hold your gem in your hand and look at how tiny and yet symmetrical the facets are! how painstakingly each one must have been finished to let the light bounce off it and pass through it to in the most spectacular manner! And all this without letting any damage come about these treasured pieces. This particular Pukhraj or pushyaraag is just a fine specimen of fashioned by some very dedicated and industrious workers. 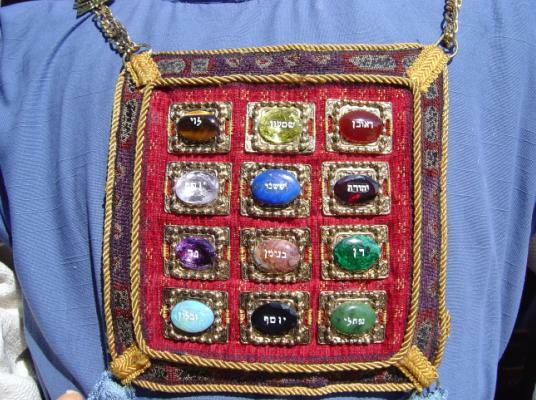 So, today as you gaze at your gemstone, look at it anew for it is truly a treasure! Comments Out of the Mermaid’s treasure box and into your talisman! Featured today is a beautiful, and amazingly round, natural white coral pendant of 7.46 carats set in a handcrafted sterling silver pendant. Most corals available for gem therapy are usually oblong/ ovals or triangular! Coral is a gemstone of Organic marine origin and in fact are the skeletal remains of coral polyp. White coral (Safed Moonga) is a definitive answer to a debilitated mars in the natal chart i.e. when mars is posited in the sign of cancer. This particular planetary position does not allow the individual to bloom or reach true potential as it causes the mind to be plagued by severe self doubt and frustrations which the individual is unable to address effectively. White coral balances the thinking and the overly sensitive nature of the individual imparting greater self confidence and ability to function optimally in day to day life. 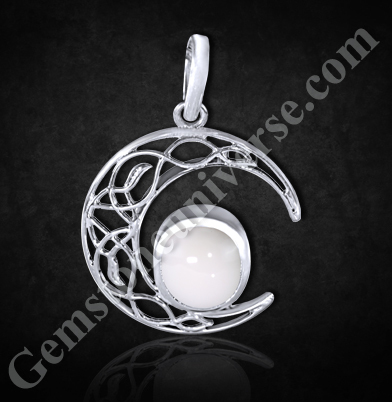 Since it is an organic gemstone, White coral will wear away with time. Also care must be taken to protect it from heat and cosmetics like perfumes as they are likely to affect the surface of the gem as well as its appearance. Comments Featured today is a lovely fully natural Ceylonese Yellow Sapphire of 2.70 carats set in a men’s yellow Sapphire ring. 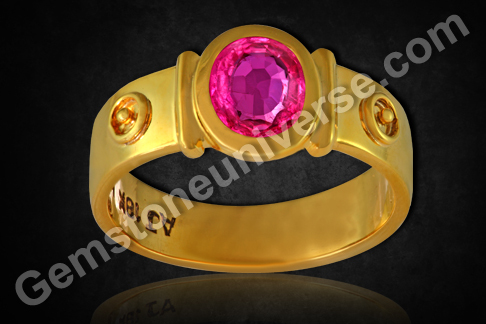 Now here is a gem that subtly enters your imagination, without any great drama, but manages to claim a share of your valuable mind space nonetheless.Note that the seat of the gem is made in 22 Karat gold (as should always be) and the ring shank has been made in silver (at the choice of the patron). It is indeed delightful that the message of correct gem therapy is reaching the individuals and that patrons are not compromising on the Gemstone quality by wearing flawless gemstones. If there are budgetary considerations the above is a great example to get good results. 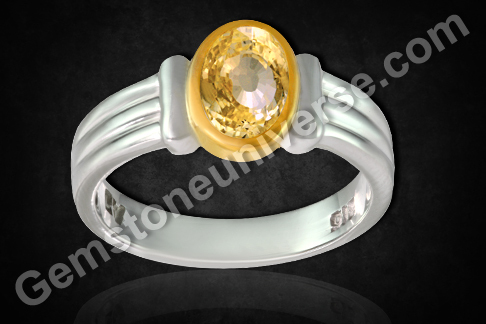 A lovely and lively Butter Yellow color, this gemstone already endears itself to the viewer. From the famed Sri Lankan territory, which is well known for its acclaimed treasure of rich gemstones especially Sapphires, this gem is an oval shaped gift with a superb clarity! 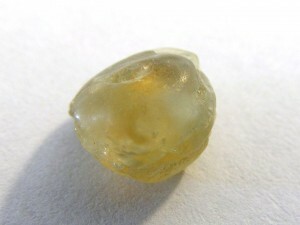 Yellow sapphire or Pukhraj or pushyaraag, as it is known, is the gemstone of Planet Jupiter. 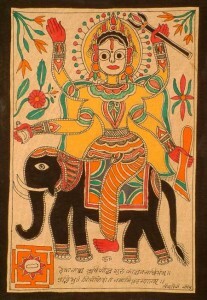 Jupiter or Brihaspati is the Deva Guru or the mentor of the GODS. 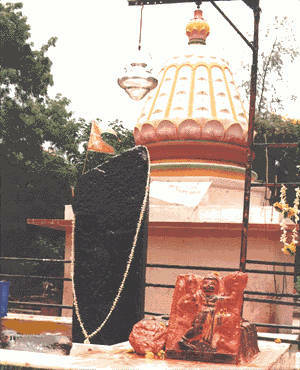 In the Indian tradition, the Guru is accorded a place higher than God himself. There are even sacred shlokas claiming the power of the Holy trinity to be residing the Guru himself. Ever benevolent and full of divine grace, Jupiter’s blessings initiate every auspicious happening in the life of any human being. A significator of wisdom and knowledge, Jupiter indicates the vastness of mind and spirit that can come to a person as he or she traverses the life and its myriad experiences. A true jyotish gem, free of flaws as specified by the shastras, is capable of bringing many good changes in the wearer’s life. 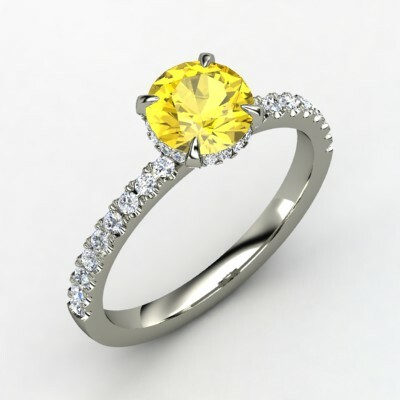 The benefits of natural Yellow Sapphire are countless! One has to own a divine piece of delightful energy to truly experience what it can do. Featured today is an oval shaped, natural, untreated Ceylonese Blue Sapphire of 2.04 carats set in Sterling silver. 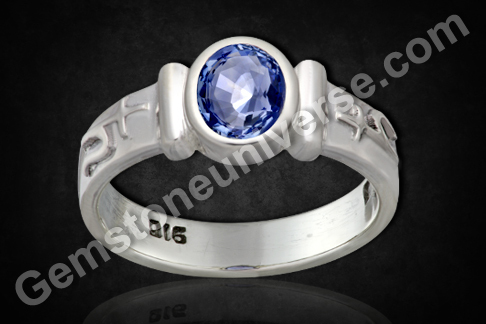 This customized men’s Blue sapphire ring has the Saturn symbol standing out in relief on the shanks. Note that the color of the gem is a vibrant sky blue color – the color of pleasantness and possibility. The open skies represent a vast canvas of opportunity that can be painted in myriad colors. Such is the energy of this jyotish gem that it carries an inherent promise of protection, opening doors of new opportunities and bringing in good fortune. The Blue Sapphire or Neelam / ShaniPriya/ Sauri ratna is the Gemstone of planet Saturn/ Shani. Contrary to the many fallacies that abound about this gem, according to Vedic Astrology it is a powerful and divine gem which can bring about many favourable changes for a person if posited suitably in an individual’s birth chart. If there was ever a High Brow Gem, This Deep Royal Blue Colored Blue Sapphire definitely is! Comments When you talk of colored gemstones, it is but natural that among several parameters to judge the value, ‘Color’ itself holds the most significance. The better the color, more prized the gem. Featured today is an exceptionally beautiful gem. It is a gorgeous Blue sapphire or Neelam stone of 3.04 carats from the famed Ratnapura mines of Sri Lanka. The characteristic feature of this expertly faceted, oval gem is its enchanting and absolutely amazing Deep Royal Blue color that is uniform throughout the gem. The color is all the more alluring as the gem is marked by exceptional clarity too. 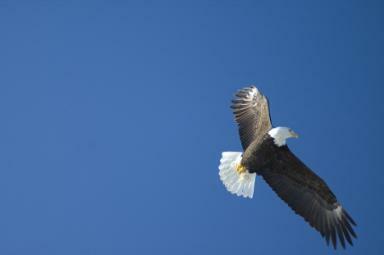 The two factors have combined in nature so beautifully as to produce this enigmatic beauty! Flawless, natural, absolutely untreated – this gem is from the category that makes the pinnacle of jyotish gems. 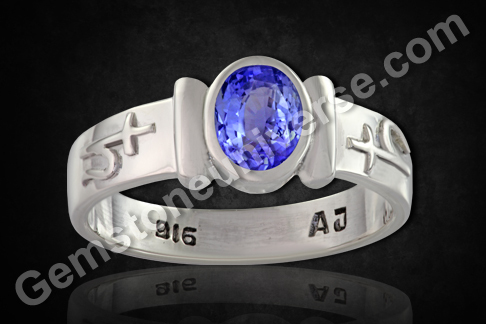 Set as a men’s Blue Sapphire ring in Sterling Silver, this gem has the saatvik, divine energies that can bring the best transformative results pertaining to the Planet Saturn into your life. It is indeed a great feat in itself to be able to handpick the best of untreated Jyotish gems from the vast gemstone milieu. Said in as few words – it is a pleasurable experience for us to bring such GEMS to the patrons! We love what we do and we share the delight with you! Note: Dear Patron, team Gemstoneuniverse thanks you and your generosity in gifting us an excellent Domain Name that we shall use to provide quality information and service to the sacred science of Planetary Gemology that creates wondrous miracles! 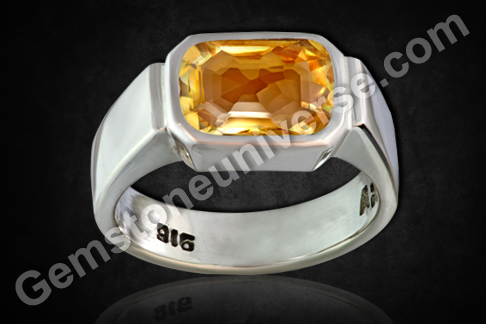 Take a look at this loupe-clean octagonal imperial golden yellow topaz from Brazil set in a Sterling Silver Men’s ring. This 3.78 carat gem has a great lustre and superb clarity. It is fully natural, treatment free, radiation free – and this is what precisely makes a jyotish gem a very potent agency for bringing tangible changes in life. Brilliant like the golden mellow yellow rays of the early morning sun, the imperial golden yellow topaz is used as a substitute gem for yellow sapphire. The benevolent energies of Jupiter, symbolizing eternal wisdom and intelligence can be harnessed through this endearing gem that has many benefits. In the mineral world, Topaz is well liked especially for its ability to grow huge gem grade crystals, unlike other gems making the size a prime factor in determining price. 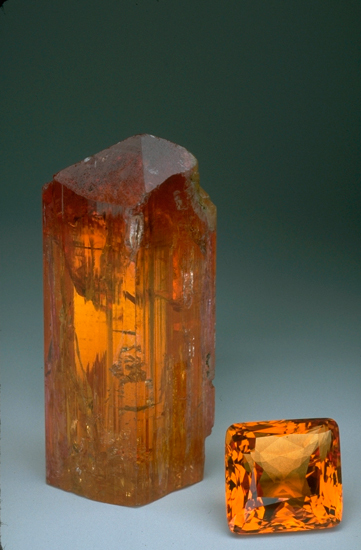 The Imperial Topaz is usually an intense golden to reddish-orange color and is found primarily in Brazil. The imperial topaz crystal and the faceted gem that are on display at the Smithsonian Institute and presented for you here are of 875.4 and 93.6 carats respectively. Note:Thank You dear patron for your gracious testimonial. 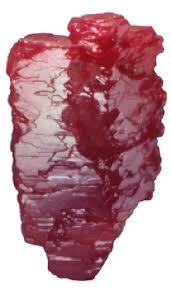 Comments Ruby the gemstone of Sun or Surya, is a marvellous precious stone. It has within it superlative powers and splendour that accompanies royalty and which shines through anyway.Presented here is the 2.02 carat fully natural, unheated Ruby from Vietnam set in a customised hallmarked 22 karat gold ring which has the symbol of Sun standing in relief on the shanks. The oval shaped gem is marked by uniform purplish red color and great lustre. Ruby or manik/ Padmaraag/ padmraagmani as it is known is the gemstone of the sun. Just as the Sun is the king of the Zodiac and represents regal bearing, authority and splendour, the gem embodies powers and qualities within it befitting a king. Rubies have always symbolized something precious, something very special…meant for individuals who are special too. Take a look at this Hixon Ruby crystal – a super fine Mogok ruby crystal, it is displayed at Los Angeles County Museum of Natural History. Weighing almost 196.1 ct, it has flawless surface. It was donated to the museum s in 1978 by Frederick C. Hixon. The best of rubies are known to have come from Burma, but since the markets are denying the presence of Burmese rubies within limits of reason for sale, the ones from Madagascar, Tanzania and of course Vietnam make the next best options. Use this powerful gem to harness the divine and energies of the Sun.